I Feed Off Of Excitement! It’s been a week since my last post, and a lot has gone on so I haven’t been able get on here. Sadly, I didn’t get a position as a finalist for the Basque Stage to travel to the Basque Country and Stage at Restaurante Martin Berasateugi. It was a great opportunity for myself and I have not felt this accomplished about anything so much and I only made it to the top 30 candidates. Just being part of the Basque Stage has made me feel like a winner. I have learned so much about myself and it has only pushed me to work harder. But anyways, this is a blog post about something that makes me strive in life and in the kitchen; my excitement for others. I work in an industry where I meet A LOT of people and that is still such an understatement. From other chefs, to our purveyors, to the guests that dine in our restaurants, we interact with so many people. I am lucky enough to have surrounded myself with some great people that have taught me so much about this crazy career. And one thing I have learned about myself is that my excitement for what my other colleagues are doing really influences the way I work in the kitchen. These are the people who are out there really doing what makes them happy. For them, it’s not just a job, it’s their lives and everything they love about it. Their passion and excitement is contagious. Luuk Hoffman, Taylor Cheney, and Irbille Donia are only some of the folks that I find myself really excited for, but are some of the chefs that best exemplify the passion for doing what they want to do. As I mentioned before, it is a little disappointing not to see my name as one of the finalist for the Basque stage, but I really feel that two candidates that they chose were really deserving of the great opportunity, specially Luuk Hoffman. I find it an amazing thing when I am influenced so much by the people I am trying to work against. I felt such an excitement for this other candidate that the outcome didn’t really matter for me. We all deserve this opportunity. And thats what I love about the Basque Stage and what you guys are doing. Luuk has really impressed me from the first time I came upon his facebook and blog.I had been rooting for him since day one and I’m so glad to see he came out on top and am really anxious for all of the great things that he will get out of living in the Basque Country! Luuk’s Basque Stage Candidate Video! Taylor Cheney is a sweet, sweet girl that I have had great opportunity to work with at The Harvest Vine. She is currently working at Mistral Kitchen under Seattle Chef, William Belickis, and another Harvest Vine Alumni, Taylor Thornhill. I’ve been seeing so much about her and her Arabesque Meals that she is doing every Monday at Mistral and I just really love how it has came about. 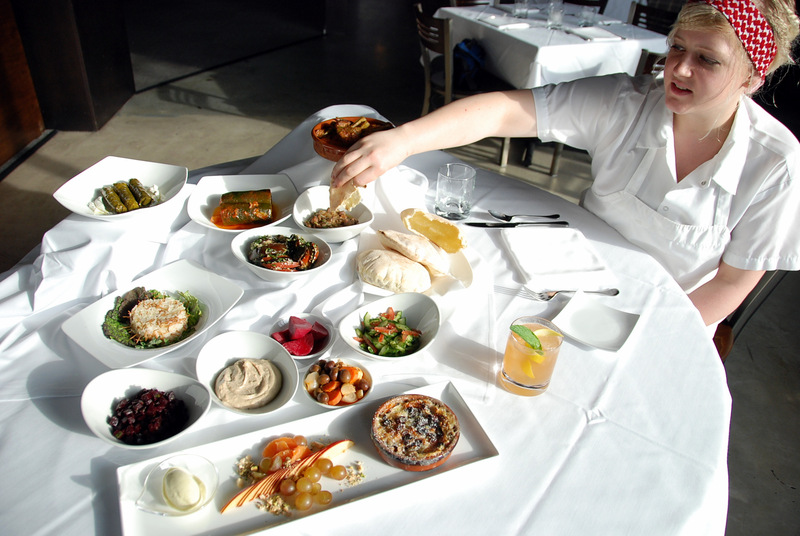 From such a simple task of cooking family meal for the staff, Taylor was able to transform it to an actual feast of Arab-inspired dishes that eventually lead into something much more. It is an inspiring thing to see her passion for such a cuisine and to be able to share all that she has learned in such a great way! Check out her article from Seattle Met! Taylor’s Spread For Seattle Met! Irbille Donia is a chef/friend that I have known for quite a while. He’s always been like a big brother to me and I just love the passion and drive this guy has. 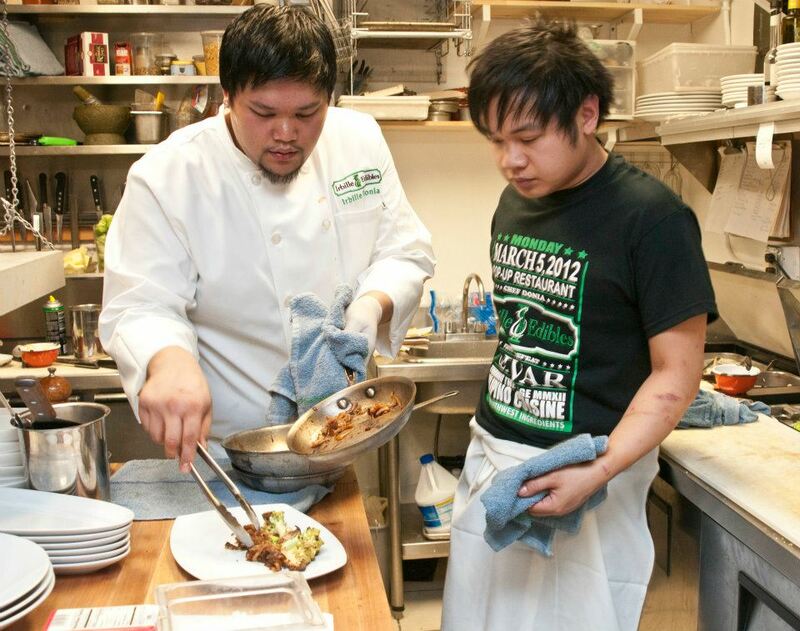 Alike Taylor, he has a great passion and understanding for a cuisine, his being Filipino food. He is the creator of Irbille Edibles, which has been doing great things such as catering gigs and taking part of Pop-Up Restaurant Trend and doing Filipino Pop Up Dinners every last Monday of the Month at Olivar. I’ve been honored to fill the place of his sous chef for these dinners and I’ve never felt so exhilarated. He has such an eye for making something as simple as Filipino food and elevating it to a very sophisticated level. I find this very exciting as Filipino food is probably one of the hardest cuisines to market because honestly, the best place for Filipino food is in any home of a Filipino Mother. We have done two Pop-Up Dinners and we have gotten a lot of great response from the Filipino Culture in Seattle, which is a great accomplishment! Irbille and I working our first Filipino-Inspired Pop Up Dinner! I find it really exciting when people are able to take something they love and really put all their heart and soul into it and be able to share it with the world. These are the type of chefs that we need in this industry. I find it very important that we surround ourselves with these people because they are the leaders that will keep us motivated and inspired to do what we want to do as chefs. I can’t be thankful enough to have these great people in my life to help push me to the limits!